Enterprise IT solutions are a key competitive tool in business today, and companies are turning to SAP® solutions for best of suite applications that integrate their business processes across the enterprise. To keep these mission-critical applications running 24 hours a day requires reliable, stable and scalable platforms. As an SAP Global Technology Partner, Stratus delivers continuously available solutions, featuring fault-tolerant servers, storage, and services, that help companies in all industries tame their complex SAP environments. The Stratus® ftServer® family offers the 99.999% uptime availability required to run a variety of SAP applications, including SAP ERP, SAP SCM, SAP CRM and SAP® xApp™ packaged composite applications, as well as third-party applications. Certified for the SAP NetWeaver® platform, the ftServer system and ftScalable storage can be deployed seamlessly into existing Windows and Linux environments – whether in a datacenter, remote offices, or distributed manufacturing plants around the globe. This enables companies to reduce both their implementation and operational costs and eliminate the risk of planned and unplanned downtime. 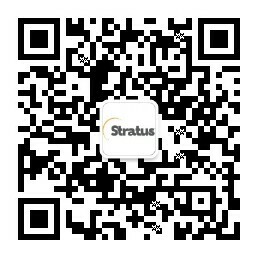 Stratus also delivers comprehensive professional services to design, build, deploy and manage the right infrastructure solution for your unique business requirements. Our seasoned, local delivery teams provide full comprehensive lifecycle support for critical infrastructure from sizing to disaster recovery programs that assure service levels are met even when catastrophe strikes.